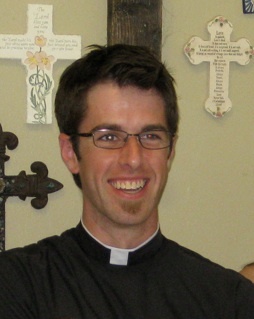 A New Chaplain for St. Francis House! The Rt. Rev. Steven Miller, Bishop of the Diocese of Milwaukee, and the Board of St. Francis House are pleased to announce that The Rev. Jonathan Melton has accepted the call to be Chaplain of St. Francis House Episcopal Student Center on the UW-Madison campus. In late July he and his wife and their two young children will be moving to Madison from Texas. Jonathan has been rector of St. Christopher’s by the Sea, Portland, Texas, since October, 2009. He previously served as Assistant at St. Helena’s Episcopal Church, Boerne, also in the Diocese of West Texas. Jonathan is a graduate of Wheaton College, BA (2003) and of the Duke University Divinity School, M. Div. (2007). He was ordained to the priesthood on September 18, 2007. Jonathan’s interests include his family, hiking, reading, knitting, and blogging. The St. Francis House Board and staff are excited about working with Jonathan. Weekly St. Francis House services will resume at Grace Church at 5 pm on Sunday, August 26. The meet-the-new-chaplain semester kickoff will be on Sunday, September 9. We can hardly wait! I would like to say that I am looking forward to working closely with Jonathan in the coming year. Grace is hosting St. Francis House during the development of the property on University Ave. We already have been enriched by the presence of the students and are excited to welcome a new chaplain! 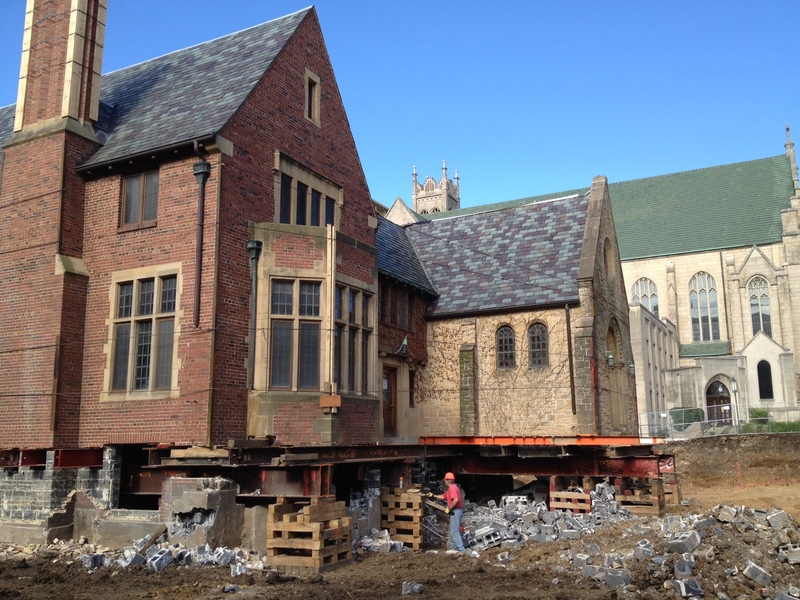 St. Francis House on the Move! It has been a month since the Common Council approved the development proposal for the St. Francis House property at 1001 University Ave. The deadline for appealing the council’s decision ran out today. After taking a little time to catch our breath (and for me to catch up on my sleep—I doubt I had been up that late two consecutive nights since my 20s) the developers have begun moving quickly to begin demolition and site preparation. They hope to begin work on January 1. What that means for the Board of St. Francis House and campus ministry at the University of Wisconsin is that we have a lot of work to do, from vacating the premises to planning for ministry during the year and half of construction. The students who had contracted to live in the house during the 2011-2012 academic year were provided alternative accommodations in a rental property, but there are offices and furnishings to move, among many other things. The board also had to consider what the ministry would look like during the interim. At our meeting in early October, we decided to move forward in seeking to hire a full-time chaplain who would begin work at the first of the year and would shepherd the community and the development through this period. Having a chaplain on staff now will also provide an opportunity for careful thought and planning about the future of the ministry. After consultation with the wardens and vestry, Grace Church will offer space to the part-time administrative assistant and the full-time chaplain beginning in the New Year. We currently have a vacant office in the office suite and other under-utilized space that could be adapted for the administrator. This is an exciting opportunity for us to build relationships with the Episcopal Campus Ministry and to explore ways in which we might reach out more effectively to the students who live in our immediate neighborhood, many of whom attend our services. While the precise shape of the St. Francis House ministry at Grace will await the arrival of a new chaplain, it is likely that it will look very much like it does now: a weekly Sunday evening service with a meal of some sort, and other offerings during the week, the latter probably on campus. These plans are tentative and may undergo considerable change in the coming months as a new chaplain shapes the ministry in keeping with his/her vision of the future. I hope you will join me in welcoming St. Francis House to Grace in the New Year and participate in the conversations about the future of its ministry and our cooperative efforts to reach out to students and young adults in Madison. Meanwhile, other development proposals in Madison continue to be controversial. The Edgewater returned to the news this week with a lengthy article exploring the process leading up to that development’s approval.